In today’s thriving mortgage industry, lenders are jumping at the chance to implement digital point-of-sale applications (POS). While some lenders have made the decision to develop their own application and website in-house, other lenders have taken the initiative and devoted this job to experts in the software development space to handle. In doing so, lenders assure that they create a digital mortgage platform that both benefits their borrowers and reduces operating costs. 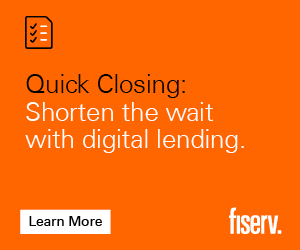 Building a digital mortgage solution from the ground up is not as easy as it may sound. It is 2018 and technology has grown rapidly over the last ten years or so, becoming more complex and involved. As it continues to change, we will be faced with new and more in-depth challenges that we have to be readily equipped to tackle. There is nothing truly straightforward when it comes to today’s technology and quite frankly, lenders don’t have the time to develop their own advanced solution in-house. They need to be devoted entirely to the borrower, rather than grasping at straws attempting to develop their own digital mortgage solution. Part of having a fully developed digital mortgage solution includes a POS system. Thanks to digital POS applications, lenders can now validate a borrower’s employment, assets, and income all within a matter of seconds, which is how the mortgage approval process has been sped up. POS systems enable lenders to give their borrowers an all new, digitally enhanced, and fully automated mortgage application that cuts operating and closing costs while saving time and energy. For example, a borrower and their loan officer can communicate back and forth through their loan portal, uploading documents, pay stubs, etc. without leaving the comfort of their living room. 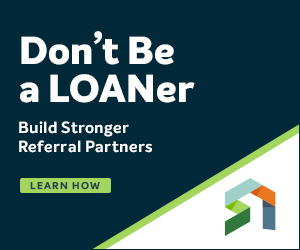 Due to the digital era, the borrower no longer has to go back and forth between their bank and their loan officer in order to get approved and close a deal. Whether they are on the go or sitting stationary at home, home buyers can easily apply for a loan online and get approved in a remarkable amount of time. What used to be more than a month long, ongoing process can now be done in significantly less time. Award-winning digital mortgage solution providers are devoted full-time to developing these solutions which make them extremely difficult to replicate. Their developers are there to build, establish, and execute lenders’ websites, however their duties don’t end there. Digital mortgage solution providers are readily available to train clients on how to navigate their corporate site, branch sites, and loan officer sites as well as edit them themselves to incorporate features they may want such as adding or deleting a specific loan officer. Not only will they help you to become an expert on your own website, but they will also be there for any dilemmas that pop up. 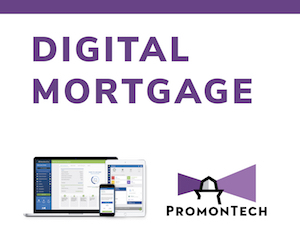 If a company is trying to build their own solutions in house, odds are that they are learning as they go; They work for a mortgage company, not a digital mortgage solution company. Therefore, they are not trained and are not as experienced as the developers who are doing this all day, every day. In addition, it is by no means cheaper for a lender to develop their own digital mortgage solutions in-house. The average salary for a typical senior developer is upwards of $100,000 which is approximately the amount, if not more, what they’d be paying a digital mortgage solution company. Keep in mind that you’d be expected to pay more based on their experience, as well. That is not including any other factors, such as hosting fees, server administration or what a they’d be paying for additional developers, project managers, etc. The bottom line is that development costs add up quickly. Potential home buyers need a simpler, faster way to get a mortgage. In order to do so, there needs to be a development team solely devoted to providing the finest products on the market. 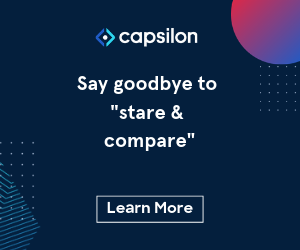 Between the most up to date digital POS applications and custom website solutions, there is no need for lenders to waste time building their own digital platform. POS applications need to revolve around efficiency. Let’s face it: not all questions on a typical 1003 application applies to every borrower. 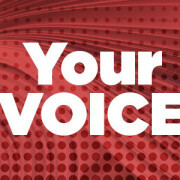 Therefore, individuals are answering questions that have nothing to do with them and doesn’t affect their loan. For example, leading applications in the industry have the ability to only provide the borrower with questions that apply to them. If a user states that they are married, another drop down box will automatically appear regarding number of dependents, and then their ages. Some borrowers feel overwhelmed with these mass amounts of questions, which is why providing them with only the questions that applies to them really matters. Many providers run analytics on their POS application on a monthly basis. Where the industry typically has a 75% abandonment rate amongst digital POS applications, very few have as low as a 12% abandonment rate. With this being said, more borrowers are enticed to complete the application due to its overall smooth-sailing efficiency. They can also analyze borrower behavior to see where users run into trouble in hopes of optimizing the product, allowing mortgage professionals to close more loans. This takes experience to accomplish, however. In order to complete features such as these in digital solutions it takes a full team of developers who know what they’re doing. Ultimately, a lender could be paying close to a half million when it comes to in-house development. They would need equipment, a well established team, plus the costs of managing and maintaining the solutions. In addition to in-house developed POS systems, one of the worst things you could possibly do is utilize the same website layout that every other mortgage professional is using. Not only does this make your website appear to be boring and unappealing to the borrower, but in-house developed websites also have a slew of other concerning issues that could affect your business as well as the individuals involved. First and foremost, some sites that businesses are using to build their platform have security issues that could potentially put the borrower’s personal information at risk of a hacker. Some of them do not even limit login attempts, meaning that even if a hacker unsuccessfully breaches your login, your system can overload as a result. Your account can also then be suspended due to these failed login attempts. The PHP code that runs a website can also be easily exploited, which would give unwarranted access to the website. You must also keep an eye out for SQL injections where hackers try to insert data into your database in hopes of linking your site to malicious or spam websites. It’s best to avoid these horrendous problems that unfortunately do occur, and utilize a custom mortgage website where developers are trained to handle situations like these. One of the biggest advantages of choosing a digital mortgage company rather than developing in house is being able to have a site admin manage websites for the whole team. 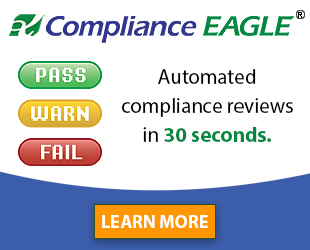 This ensures that they are always compliant. Aside from the extensive security problems that lenders can experience from an in-house website, they also must remember that added features like plugins, extensions, and add-ons will cost extra. As you can imagine, the price can add up in order to get the full website you really want. However, these extra fees can be avoided all together by utilizing a custom mortgage website that includes all of these services. 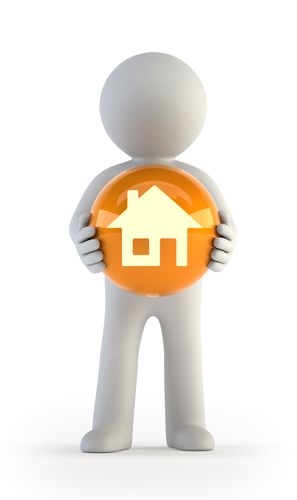 All in all, this would be the right way to go if you want to ensure that homebuyers are going to choose you. 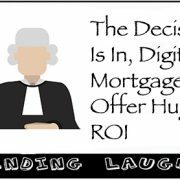 Digital mortgage companies take their systems very seriously which is why more and more lenders are choosing them every day. Many digital mortgage solution companies are centered around creating a lead capture friendly mortgage site with a comprehensive CMS (Content Management System), a prequalification application, member portal, LOS bi-directional sync, mobile responsiveness, and a wide variety of other features. 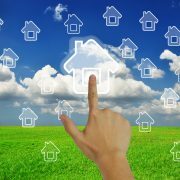 These features help to further ensure the safety and privacy of homebuyers’ personal information. Loan officers and brokers even have the ability to use this system in order to obtain more leads online. 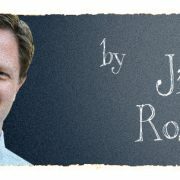 In that way, these custom sites are always built with home buyers’ and the mortgage company’s best interests in mind. It is simply more efficient to pay a one-time fee and get exact what you want rather than finding your own developer and having to pay them more than what you’d be paying to out-source. Remember, professionals who do this for a living will be able to do things that you’ve never even thought of, in a lot less time. Being a lending expert is one thing, but being a lending technology expert is a whole other circumstance. The main focus of a mortgage company should be on potential homebuyers, and not on their website. There are skillfully trained developers who put all of their time and energy into applications from start to finish which is why they will be more successful than any in-house development. It’s understandable why building a solution in-house may seem like the best choice at first, but it’s important to review everything at hand before making the final decision. In the end, working with a digital mortgage company to get the full works may ultimately be the best option. Why Lenders Should Be Aware of Exemptions Looking For Investment Money?